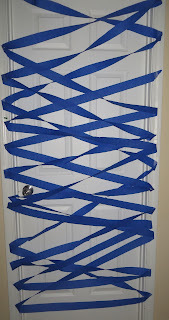 I don't like to do a ton for April Fool's Day, but I do enjoy pulling a couple of simple pranks on my kids! 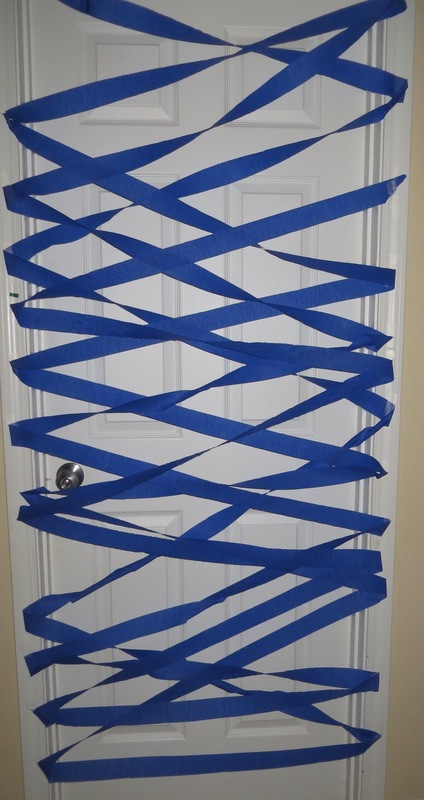 Here's some Dollar Tree crepe paper taped across their door! They woke up, opened their door, and yelled "MOM!" I loved it! CLICK HERE for some other ideas - I want to do #28 to my kids next year!